Often called Europe's Grand Canyon, Gorge du Verdon is truly spectacular canyon is over 25 kms long and in places over 1000 meters deep, and the great cliffs are a playground for rock climbers. It's located in south-eastern France (Alpes-de-Haute-Provence), is a river canyon that is often considered to be one of Europe's and France most beautiful tourist attractions. 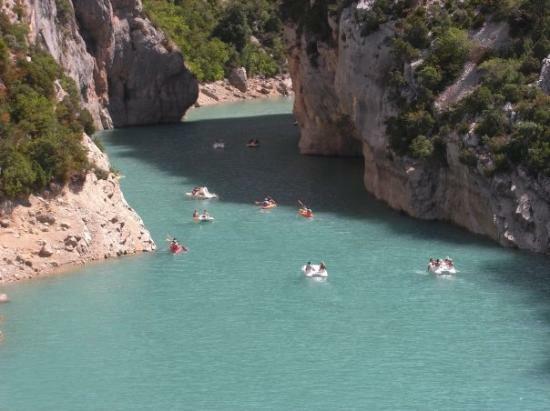 The Gorges du Verdon is one of Europe's great natural wonders. Formed where the blue-green Verdon river cuts a deep swathe through the high limestone plateau of Haute Provence. It is over 25 kms long and in places over 1000 meters deep, and the great cliffs are a playground for rock climbers. The world's second largest canyon, it may not compete with the Grand Canyon, Arizona, but it is still the largest canyon in Europe. The Verdon river is named after it's unusual colour. 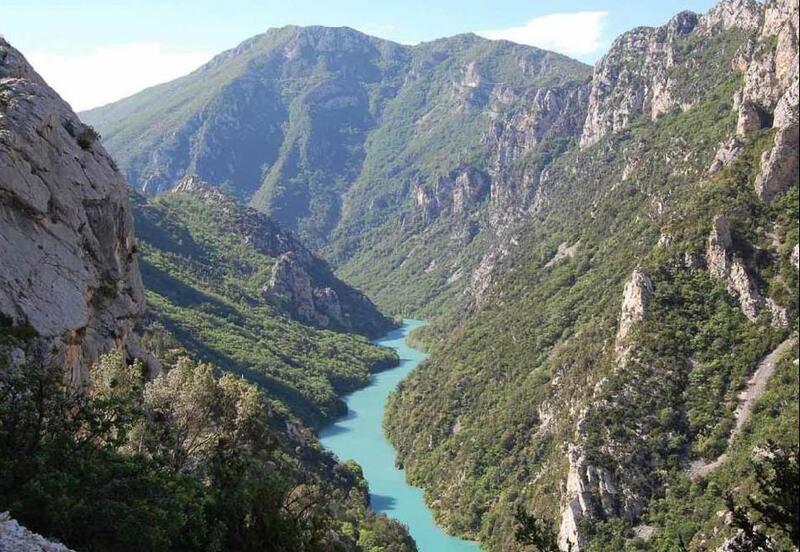 Verdon is derived from the French word for green. Although it's smaller than Arizona's Grand Canyon, the Gorges du Verdon is deep, compact, wild and beautiful. Thia is an excelent tourist attractions for walking, bird watching or just enjoying the weather and scenery. There are walks and hikes along the river's edge, alongside mountains and some taking in villages or vantage points. Whatever walk you choose, you can be sure of the most awe-inspiring scenery, a wealth of wildlife and a wide variety of wildflowers and plants. The most impressive part of is lies between the towns of Castellane and Moustiers-Sainte-Marie, where the river has cut a ravine up to 700 metres down through the limestone mass. 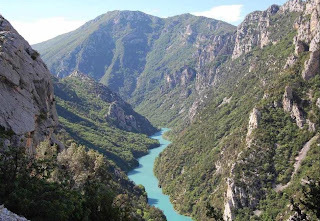 At the end of the canyon, the Verdon river flows into the artificial lake of Sainte-Croix-du-Verdon (in French: Lac de Sainte-Croix). Gorges du Verdon is an favourite destination for rock climbers, since it includes more than 1,500 climbing routes on good limestone rock. This one of top France tourist attractions is also a favoured destination for fishermen, for fly fishing. Hiking, Canoeing, paragliding, rafting, climbing and of course Canyoning are some of the numerous sports practiced in the region. 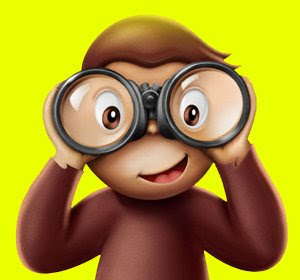 Hope this information can help you plan your vacation to France. Happy Vacation.